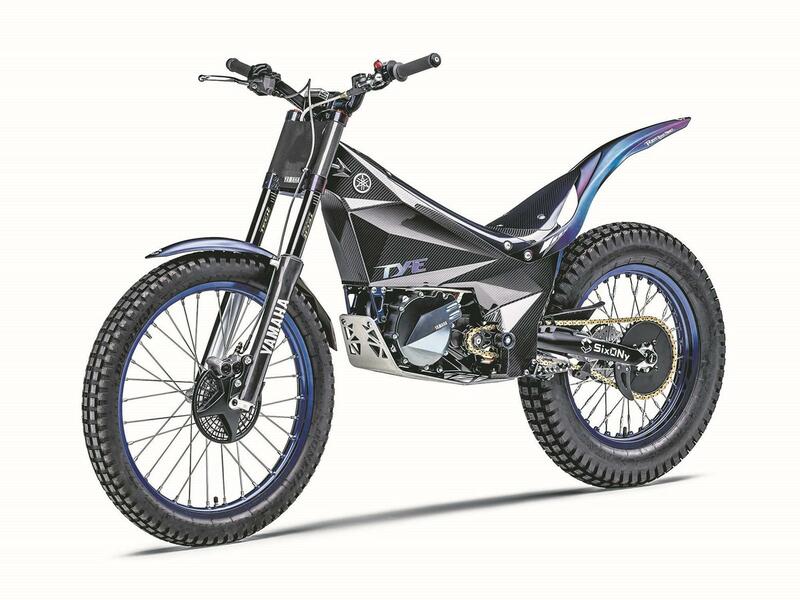 Yamaha fanned the flames of the electric fire with the TY-E electric trials bike concept at the Tokyo Motorcycle Show last week. The firm has shown electric concepts before, such as the PED-1 and PES-1 back in 2013 and the Motoroid last year, but they’ve yet to put anything into production. Will this be the first? The TY-E has actually come out of Yamaha’s ‘Evolving R&D’ programme, in which employees are given time aside to work on unusual projects. The engineers wanted to create an electric trials bike as proof that you can create high-torque motors that remain lightweight and compact. From the outside, it appears to be a success – the bodywork is slim and has maintained the typical trails riding position. It’s remained lightweight too, at just 70kg, although you do have to question how much of that is down to the carbon-fibre monocoque chassis. Yamaha say it rides well, and interestingly, it only has one gear but Yamaha have fitted a mechanical clutch, which they say is essential for proper control. Of all the electric concepts seen so far, the TY-E looks the most production-ready – in fact, they’re going to put it to the test. 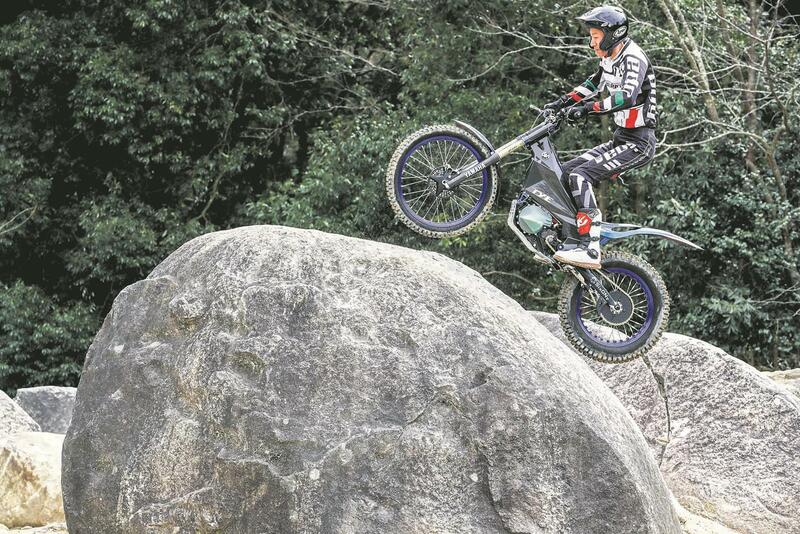 Yamaha will enter the TY-E in the FIM Trial-E Cup starting in July. For now, though, there’s no information on whether this bike will inform any production models or when we might see them.